MADISON – Nearly 2,100 individuals and businesses have applied to grow or process industrial hemp in 2019, the Department of Agriculture, Trade and Consumer Protection reports, with more applications expected in the next week or so. Online and emailed applications and renewals by program participants from last year were due by midnight on March 1. However, forms sent through the mail will be accepted as long as they are postmarked by March 1. To date, 1,405 have applied to grow industrial hemp this year. Of those, 1,244 would be first-time growers. Processor applications are at 692, with 636 first-time applicants. That compares with 247 grower licenses and 100 processors licenses issued for 2018. The industrial hemp program grew out of legislation passed in late 2017 that allowed growing and processing industrial hemp in Wisconsin. The 2014 federal farm bill had authorized states to create pilot research programs that were administered by universities or state agriculture departments. However, industrial hemp remained on the federal list of controlled substances, because it is the same species as marijuana, but industrial hemp is bred to have very low levels of THC, the psychoactive ingredient in marijuana. This created a great deal of legal uncertainty. The 2018 farm bill removed that uncertainty. Industrial hemp was a major crop in Wisconsin in the first half of the 20th Century, mainly harvested for its fiber to make rope. Most growers today are growing either for CBD oil or grain. 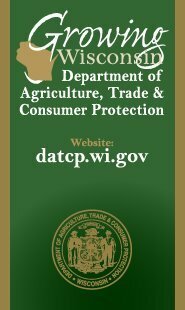 Growing or processing hemp in Wisconsin requires a one-time license, and annual registration with the department in years when licensees intend to grow or process. Last year some licensees did not register once they had their licenses. Others opted not to grow even after registering because of bad weather and other factors. Production results for 2018 are not yet available.